Christmas is here once again. Therefore, my friends and I decided to celebrate Christmas and have a wonderful meal at a good restaurant. I want to introduce the restaurant where we had our Christmas meal – Kokonana. Kokonana is located in Taichung near Chaoma bus station. It’s in a little lane surround by a residential district, so it is very quiet. The people who live nearby are all rich, so the prices at Kokonana are a little high for average people. The restaurant is very bright and clean because there are a lot of big French windows. When I opened the French door, the thing I first saw was a refrigerated display case that was full of many cakes and chocolates. Then I turned around and saw the dining area. There was a big step down into the dining area, and guests sat on red pillows on the floor beside little tables. It looked very comfortable. My friends all loved their decoration. They kept taking pictures until our meals were served. At Kokonana, they sell cakes, including vanilla roll cakes and coffee roll cakes. There are many kinds of drinks such as coffee, ice drinks, flavored milk, flavored cocoa, alcoholic drinks, and herb tea. They also sell some light meals. If you want to take home some delicious food for your friends or family, you can buy a cake or a pack of chocolates as a gift. I was very hungry that day, so I ordered the meat ball rice gratin meal which came with a salad, pumpkin soup in a bread bowl, a glass of caramel milk tea, and a piece of French chocolate cake. The waiter was very friendly. She knew that I was very hungry, so she recommended that I also have some bread and cookies. However, I didn’t buy anything else because it was a little expensive. My meal was delicious! The salad was very fresh, and best of all, the French chocolate cake was amazing! One of my friends ordered a piece of cheese cake. She said it was awesome. 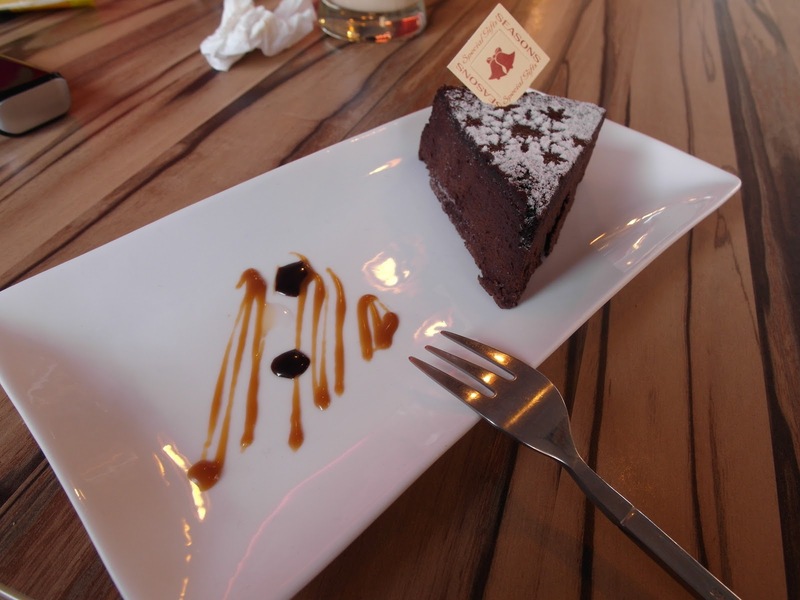 We agreed that the most delicious food at Kokonana is their cake. There was only one thing I wasn’t happy about. The waitress served me the wrong soup, so I asked her to change it. In addition, I ordered a glass of caramel “iced” milk tea, but it wasn’t cold enough; it was just cool. If they could correct these kinds of little mistakes, I think Kokonana would be a comfortable, relaxing place to eat, even for those of us who can’t afford to go to such a nice place very often.